Philly’s cold wet spring (remember that?) has been immediately replaced by a hot, dry August. Er. June. 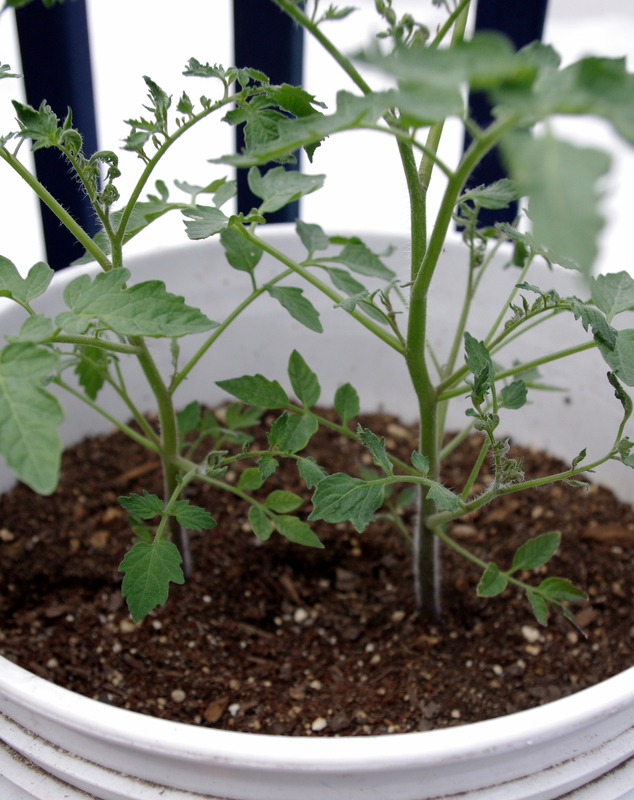 A few weeks ago, in a flurry of pre-littlest deckhand productivity, spindly-looking seedlings were planted and just today the minder managed to thin, snip, and top off those tomato pots. Incidentally, it appears as though the newest (and littlest) deckhand isn’t much help after all. When asked to haul up a bucket of water she said, “pbbbbtttt.” Go figure. 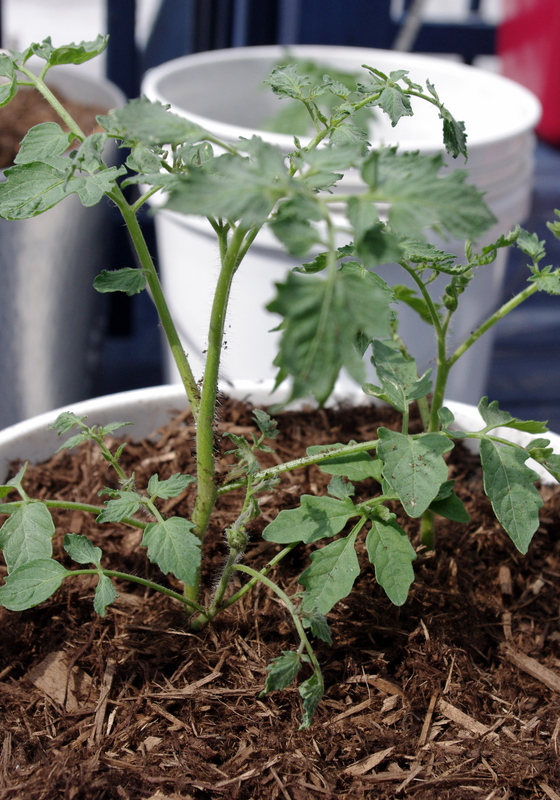 But, thanks to an hour-long walk with Appa, the tomatoes got a second helping of dirt. The goal here, by the way, is that new roots will form along the newly submerged stem and the plant will grow big and strong. The tomatoes even got the first complex sentences of the day. Not once did their minder say, “Where’s the tomato?” Progress. And plenty of tomatoes, there are. Here’s hoping this year’s crew, which includes patio princess, sweetheart of the patio, tomande, and good old gold nugget (all determinates this year) fare well — ’cause thinning means repotting, in POD’s book. Now we’ve got three tomandes, two gold nuggets, one patio princess, and two sweethearts.